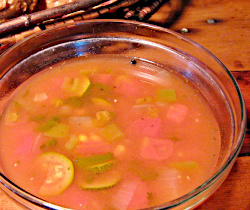 Serve a fuss-free Easter ham dinner this year. 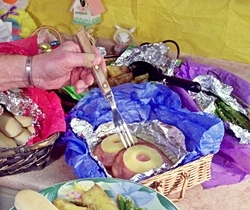 Wrap everything in foil for easy cleanup and serve buffet style. Select ingredients from Aluminum-Foil Easter Ham Buffet to add to your grocery shopping list. 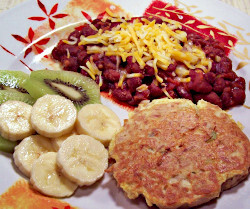 Select ingredients from Tuna Cake and Red Beans to add to your grocery shopping list. 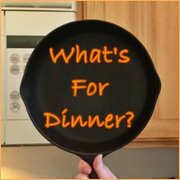 Select ingredients from Parmesan Chicken and Pasta to add to your grocery shopping list. 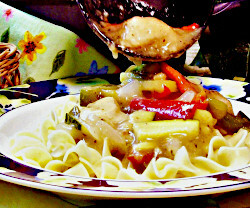 Marinate boneless pork loin in honey, rice wine vinegar, cilantro and ginger, then brown and create a vegetable and gravy sauce to pour over pasta. 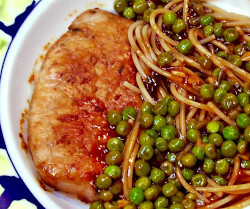 Select ingredients from Honey Ginger Pork and Pasta to add to your grocery shopping list. Select ingredients from Sabrosa and Cranberry Muffins to add to your grocery shopping list. 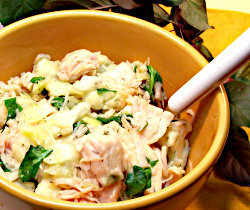 Select ingredients from Cabbage, Chicken and Cauliflower with Rice to add to your grocery shopping list. 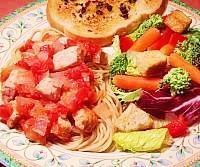 Tender pork and tomatoes served over noodles with bread sautéed in olive oil and mediterranean seasonings. Select ingredients from Italian Pork Noodles with Mediterranean Toasted Bread to add to your grocery shopping list. 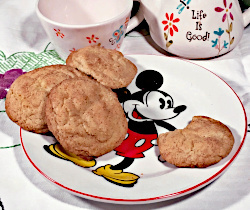 What is that special ingredient that makes Snickerdoodle cookies so special? It's the cream of tartar that makes them so unique. Select ingredients from Snickerdoodles to add to your grocery shopping list.